Visit the Account Information section of the www.mbusa.com website or call our 24-hour Automated Payoff Quote and Account Information Line at 1-800-654-6222. 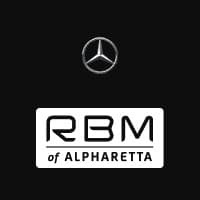 Your original Mercedes-Benz Dealer can also provide a payoff purchase price before maturity. Most vehicle damage happens to the exterior or interior fabric and trim. At Mercedes-Benz Financial, we’ve created a simple, yet comprehensive way to evaluate when such wear and use becomes damage. Basically, if the damage can be hidden with a credit card, it passes the test and is not chargeable damage. Guidelines for tires, glass and a few others are equally innovative and fair. Three months before your lease ends, we’ll send you The First Class Finish Lease-End Guide, which explains the entire process in detail. Contact your Mercedes-Benz dealer or call a Mercedes-Benz Financial Program Advisor at 800-873-5471. As a First Class Lease holder, you may be eligible to transfer your lease to another qualified individual or business (a “Transferee”). After six months, subject to eligibility and approval, you may request that a qualified Transferee assume all of your rights, interests and obligations under your current lease agreement, thereby releasing you of any remaining payments and lease end charges. There may be a transfer fee due to Mercedes-Benz Financial, which may be paid by the Transferee, the Transferor or a combination of the two parties. However, as these fees are state specific, please contact the Mercedes-Benz Financial Client Care Center at 800-654-6222. Vehicle licensing or registration fees, as well as applicable taxes, may be required by your state. These fees and taxes vary by state. If you are unsure about your state’s requirements, please consult your local department of motor vehicles to inquire about licensing or registration fees, and your state’s tax authority to inquire about any applicable taxes. A lease transfer is initiated when a current lease account holder submits a request for a credit application to be submitted to a potential Transferee. The Transferor initiates this request by clicking on the Lease Transfer link inside the Account section of Mercedes-BenzFinancial.com. Note that the Transfer button is not visible unless the lease is eligible for transfer (6 months from the original contract date). Please contact the Mercedes-Benz Financial Client Care Center for assistance or further information at 800-654-6222.